Tattooist Michele Wortman has been producing unique electronic music for much of her tattoo career, and has recently released her latest CD, Current, featuring dreamy hypnotic beats and punchy melodies. 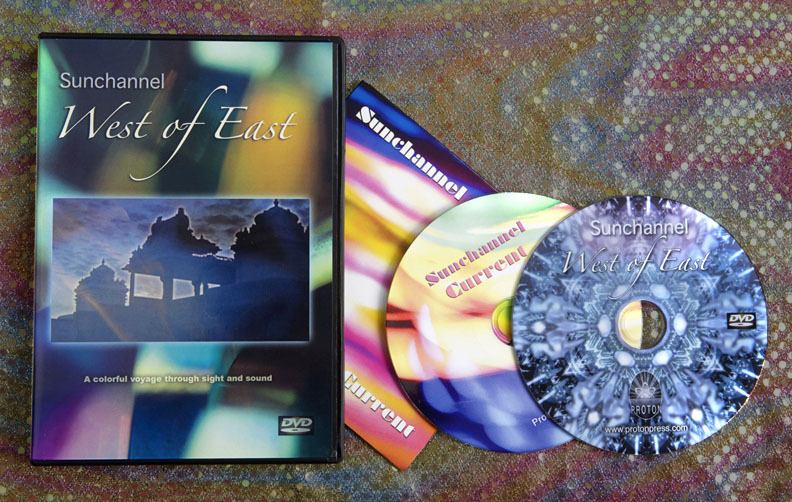 To accompany this new release we are also introducing West of East, a music video DVD showcasing the music of Sunchannel with video produced by Guy Aitchison and Michele Wortman. This electro-psybient journey is a trip through sight and sound, featuring music from Current along with two bonus unreleased tracks. If you are a fan of electronic music and trippy visuals this is one DVD not to pass up. This combo package makes a perfect holiday gift, and are offering it for a limited time as a special for the holidays: Get both the West of East DVD and Sunchannels newest release Current for only 25 bucks!